These Puddle Buster Wellington Boots, from our Puddle Buster range, are made from fab natural rubber and are perfect for keeping your little one dry in those April showers! 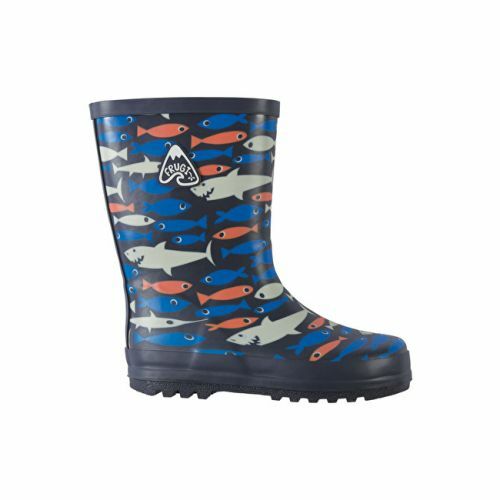 These wellies, in a fun and vibrant all over Frugi print with coordinating soles and trims, are waterproof and PVC free. They also feature non-slip soles and a lovely Frugi branded badge on the side.